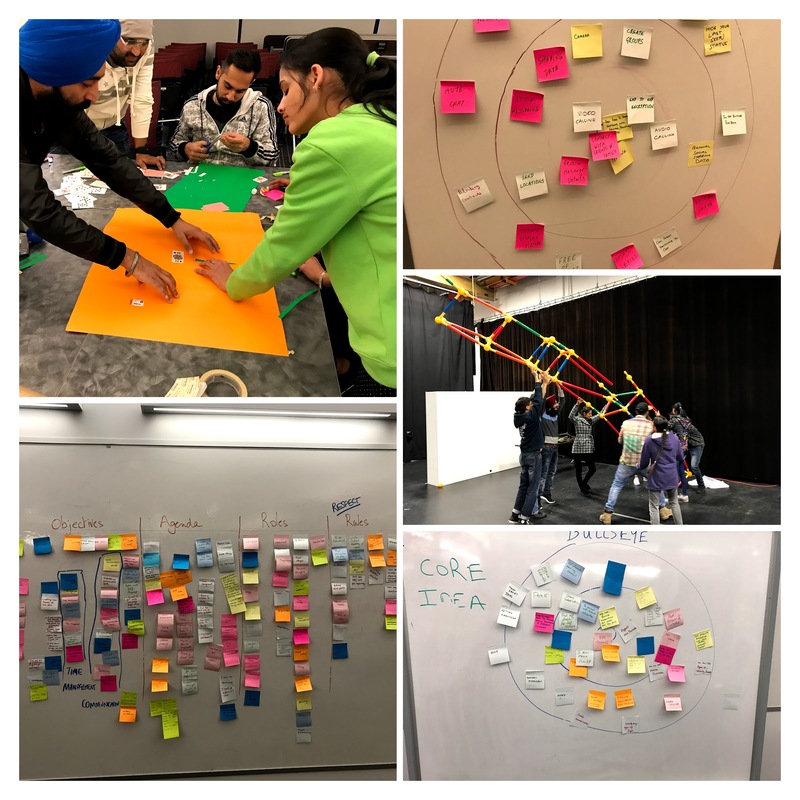 Last August, I wrote about my experience co-teaching Centre for Digital Media’s IDEA-X program. 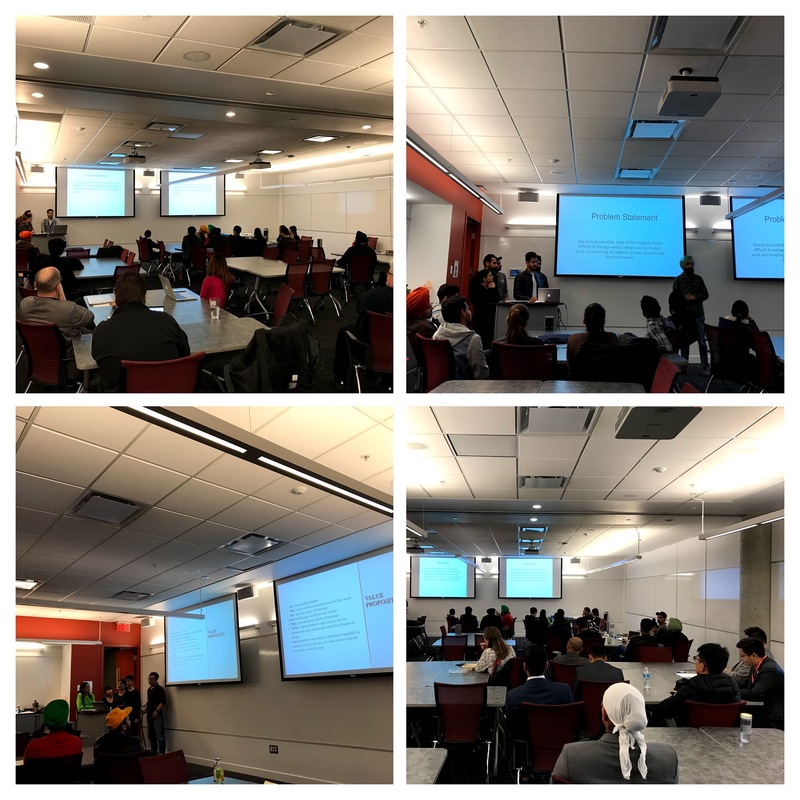 Two months after the program, I was given the opportunity to redesign the course and teach the next cohort, along with Vidhi Shah (covering UX and UI Design) and Rafael Hocevar (teaching Unity and C#). Get everyone on the same page, break the ice, go over the “Why?” of the program, and introduce them to the “MDM thinking”. Introduction to the “sprint board”. What is it for? How do we use it? What are user stories? How do we break them down into tasks? Breaking the ice with a collaborative exercise, “The Tallest Tower”. Introduction to prototyping (lead by Vidhi). What is it? Why is it useful? What are the different prototyping methods? How do we prototype for different platforms? Introduce the cohort to the main concepts (pipeline management, iterative design, user-centered design) and explain the importance of those tools in team projects. Project pipeline: agile vs. waterfall, design process. My slides. Opportunity recognition: identifying real-world problems and coming up with a vision statement. My slides. 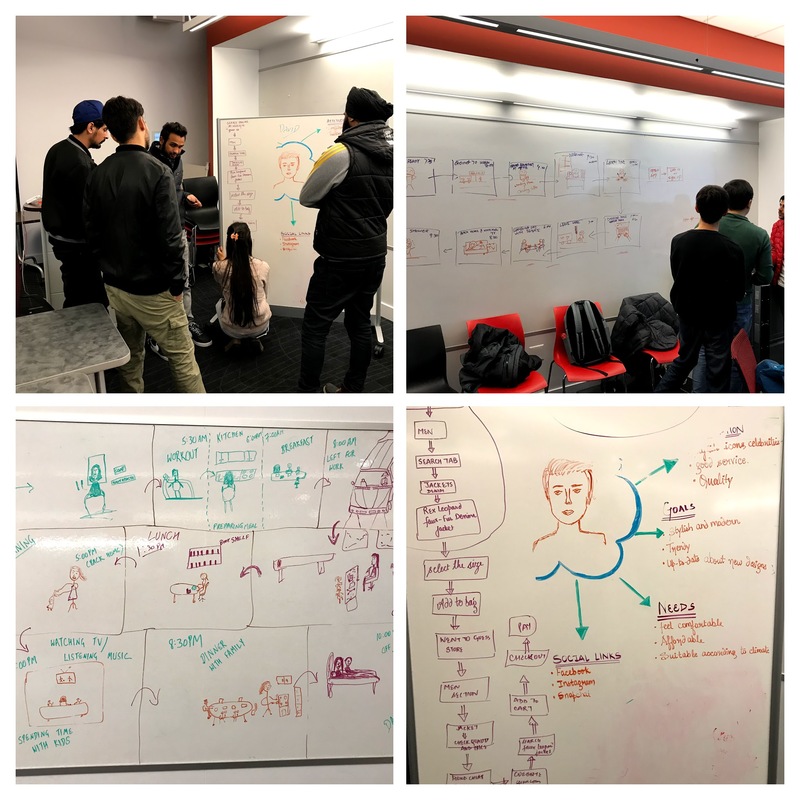 User-centered design (lead by Vidhi): importance of designing for the user, personas, user-journey map, day in the life. Push the students outside their comfort zone and challenge them to solve problems with the tools and concepts taught in previous classes. Encourage them to fail and learn from their mistakes in two very intensive workshops. Agile and Scrum Theory. Where does it come from? How is it structured? What are the different roles (product owner, scrum master & development team). Lego4Scrum workshop: the students learned the scrum roles by building their own virtual world (an airport) using Lego. 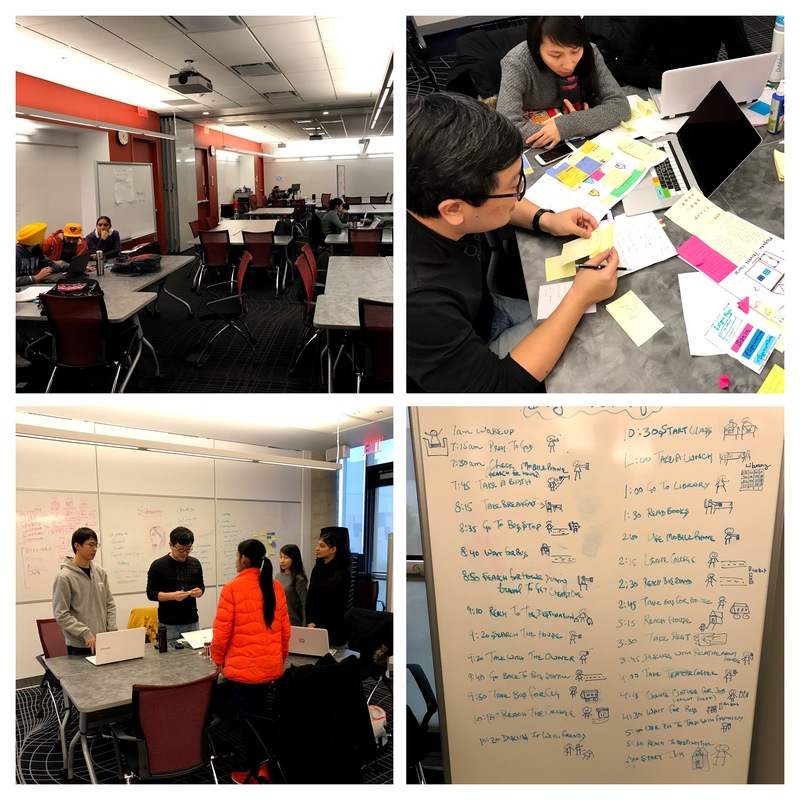 Learnings: forming a backlog from a vision statement, identifying the target users and their needs, coming up with relevant ideas/features, breaking down the product into releases (MVP, High Quality, Scaled Up), planning sprints (estimations, prioritization), sprinting, reviewing sprints, reflecting on the process (retrospective), demoing the product after every sprint. 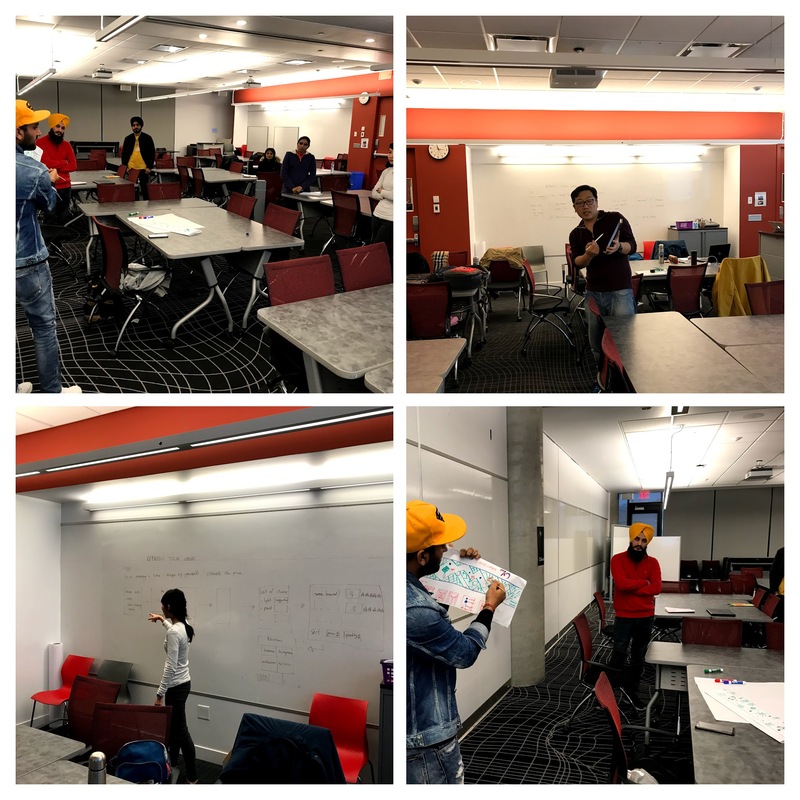 Explain the importance of differentiation in digital media (through value propositions and pitches), have the students pitch their own original ideas, and give them their first technical workshop. Unity Workshop (lead by Rafa). What is Unity? What do we use it for? Interface walkthrough, main concepts, hands-on exercise. Individual pitches and team formation. Project time: sprint board setup, problem definition, persona definition, day in the life, first lo-fi prototypes. Thinking through a student’s learning pace and meeting their individual goals was an exciting challenge. 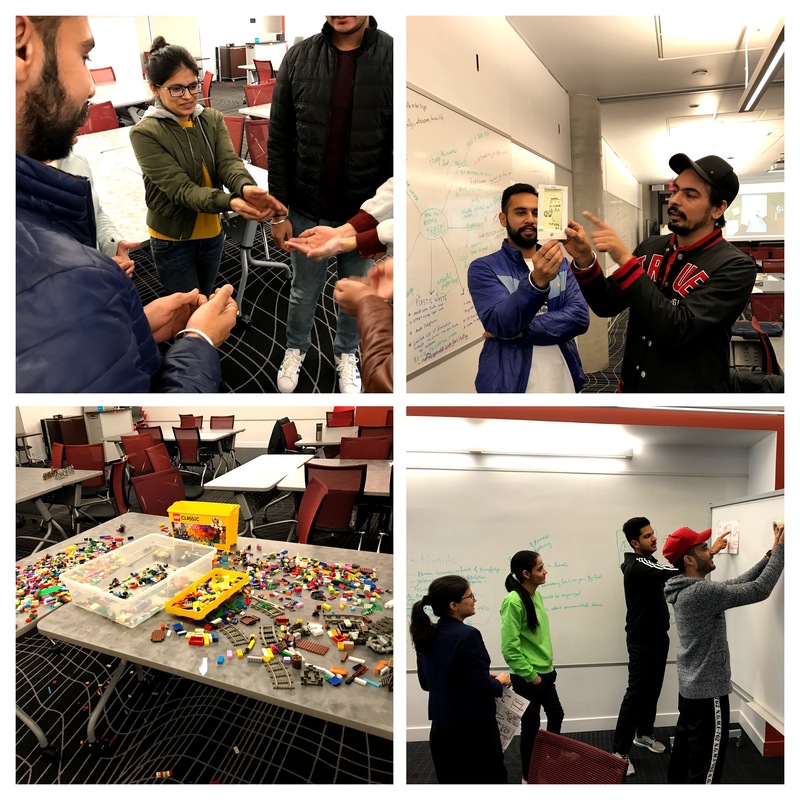 Perhaps the most important thing I learned was how to remain agile in my thinking and planning – we kept the overall course goals in mind while adapting in class activities on a weekly basis. I’ve begun thinking of co-teaching more like a team sport than anything else – knowing when to pass, trusting that the team member will be there and have your back and someone can take the final shot (only certain sports apply to this analogy). Respect, trust and patience are virtues I hope to possess and build on everyday.